During WWII, the Japanese Navy realized the need to defend island bases where normal airfields may not be easily constructed and developed floatplane fighters as the solution. Kawanishi designed the N1K Kyofu (Allied reporting name "Rex") to be the replacement of the earlier Nakajima A6M2-N and this kit depicts the N1K1 (Model 11) variant. 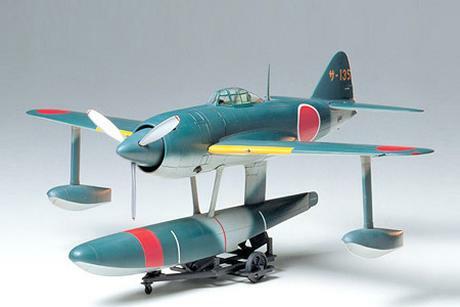 The aircraft's distinctive portly fuselage has been accurately reproduced together with details such as the Mitsubishi Kasei engine and cockpit features. The model may be assembled with one of two types of exhausts and with the canopy in either open or closed position. Parts for a beaching trolley and three marking options are also included.